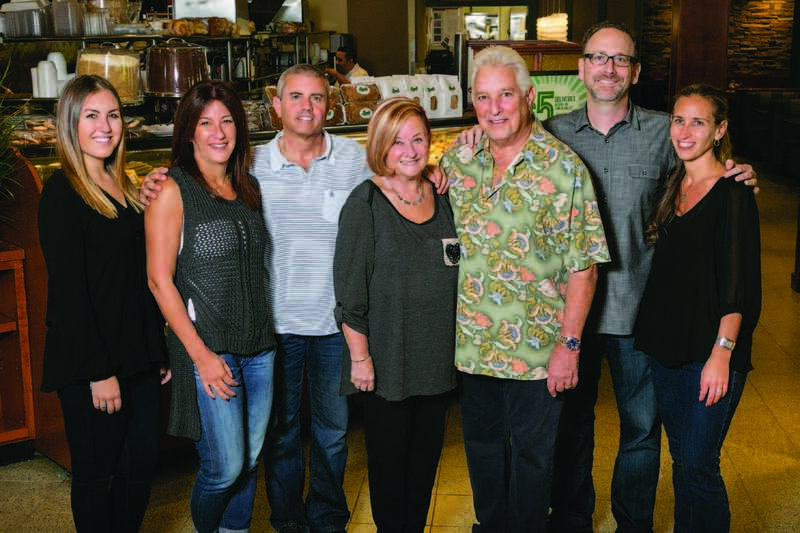 In 1969, Ron Peskin purchased the then-failing Brent’s Deli in Northridge, transforming it into the kind of place where everyone knows your name — the kind of place that feels like home. 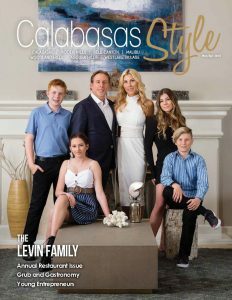 With a little luck and a lot of hard work, Ron, his wife Patricia, and their two children, Carie and Brent, have managed to carve out a little gem in the community, one that continues to withstand the test of time. Today, the team includes Ron’s son Brent, daughter-in-law Dori, daughter Carie, son-in-law Marc, and granddaughter Taylor. The restaurant clearly proved fortunate for Ron’s growing family. 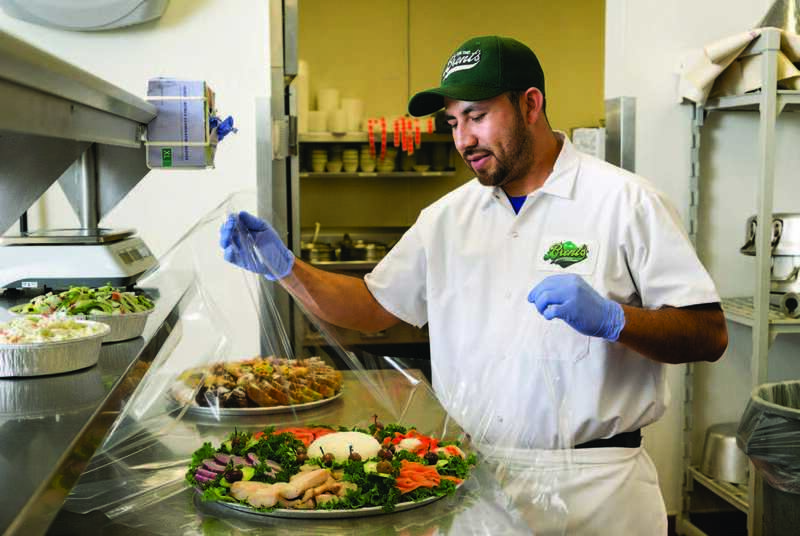 In 2006, they opened a second location in West-lake Village and expanded their operation to include a few more delivery trucks and a lot more employees. And speaking of expansion, in celebration of their 50th anniversary, the Westlake Village location is getting a full remodel of the bar and patio. Swing on by for happy hour and check out the unveiling later on this summer — preferably with one of their famous bloody marys. Brent’s specializes in catering for all occasions. Get your hands on a fish tray filled to the brim with hand-sliced Nova salmon; smoked whitefish; cod, cured and barbequed in-house; and baked salmon, accompanied by thick slices of Bermuda on-ion, fresh sliced tomato, and a container of cream cheese. You’ll be living off it for days to come! Have you seen the size of their portions? Or try one of their deli trays with any assortment of corned beef, pastrami, roast beef, fresh roasted turkey, and much more. The deli tray is accompanied by cheese, deli salads, homemade Russian dressing, and their famous rye bread. You can’t possibly go wrong. But Brent’s isn’t just about catering. Their extensive menu boasts a wide variety of deli favorites, from softball-sized matzo balls to traditional cheese blintzes, complete with mandated strawberry preserves, sour cream, and a dusting of powdered sugar. Brent’s serves over 600 items, from customary Jewish-style fare, such as potato latkes and chopped liver, to omelets, melts, wraps, and eclairs that could feed a family of six. Brent’s maintains the unique ability to foster relationships with customers and strives to make everyone feel like family the moment they walk through the door. They connect with the memories, experiences, and childhoods of their customers. More than just serving up food, Brent’s is serving up connection and community. From direct donations to local charity organizations to hosting golf tournaments for the Boys & Girls Club, Brent’s is all about giving back the support that their surrounding communities have given to them. From brises to birthdays, Brent’s provides an atmosphere that feels a lot like home — a place to celebrate all of life’s special moments and every day in between. 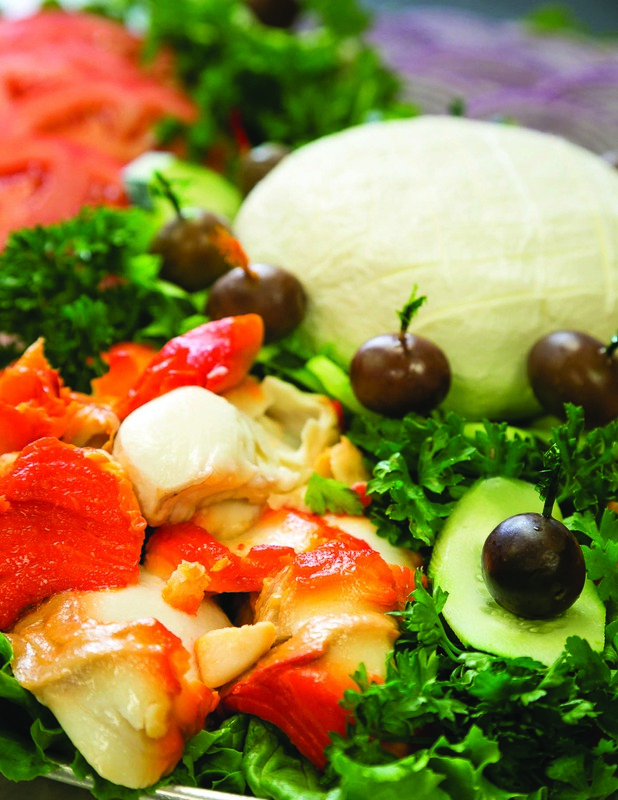 Voted Top Deli by Zagat for 18 years, Brent’s is a slice of New York tucked into the heart of the Valley. Traditionally, a 50th anniversary gift is something gold, but in this case, a sky-high sandwich on hot, double-baked rye bread might just be the better choice.